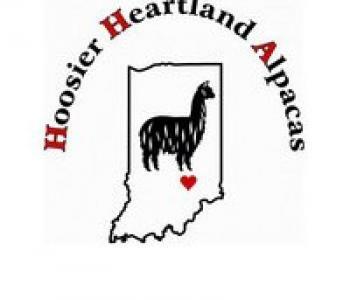 We are a small alpaca farm in beautiful south central Indiana and raise Suri Alpacas. We have 20 Suri and 1 Huacaya currently but as you know that can change with new cria and sales. We do process our own fibers ourselves and have it available in our farm store that's located inside our barn. Once a month we host a Spinning Bee, always on the 2nd Saturday of each month from 10-2pm where we will spin either in the barn or the house, depending on the weather and circumstances that week.We will spin for a couple of hours and then take a food break sharing potluck that each attendee has contributed...sometimes it may be lots of desserts, other times lots of different salads. Farm Tours are available for groups so if that's something that you're interested in, just let us know. We do charge for tours. It takes time to set it all up and then put it all away. We want to make your visit a great experience for you. Twice each year we open our farm for free to the public. In September we host a 2 day open house in conjunction with National Alpaca Farm Days and usually have some fiber processing going on; the Saturday immediately following Thanksgiving we host a Christmas in the Big Red Barn Open House where we also invite Santa and Mrs. Clause to join us. The Christmas Open House is only a Saturday event but our farm store remains OPEN several days until the end of the year. Please check the Calendar on our website for those hours. Last Update: June 9th 2015.